Well spring has sprung. The trees buds are starting to swell up and my tulips are up about six inches above the ground. We have had a very mild winter and hubby and I are loving it. Bloggers are switching to spring and summer recipes as fast as a squirrel can find a newly filled bird feeder. This will be my last soup recipe for a while with the possibility of a spring/summer soup like gazpacho or vichyssoise. 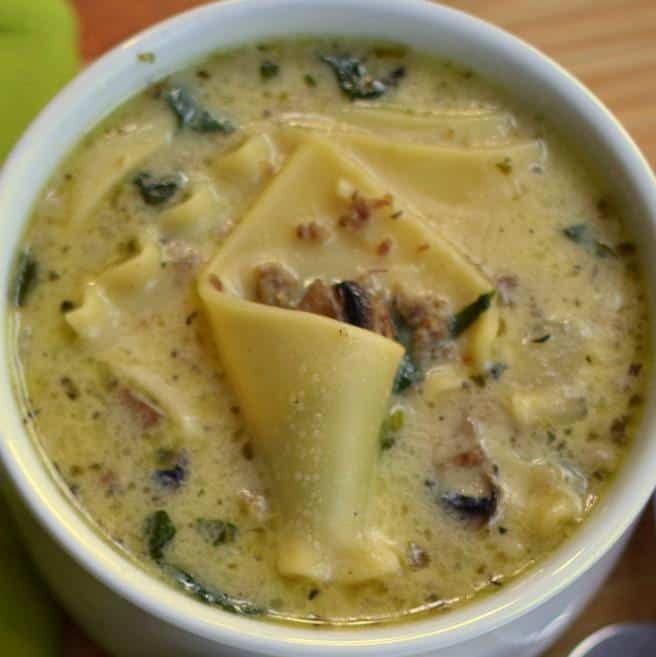 I am truly a soup lover so I am sad to see this season go but always love the fun recipes that the new season brings to offer. 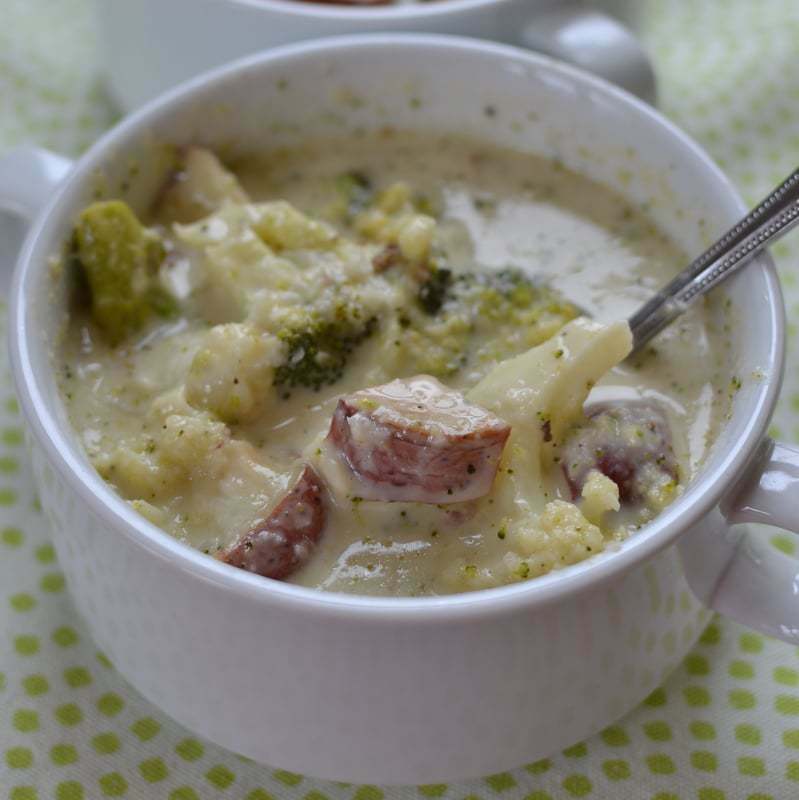 This delectable Roasted Broccoli Cauliflower Potato Soup has so much great flavor. The broccoli, cauliflower and potatoes are roasted in the oven to give it a little more of a smoky crunchy texture. The base is a welcoming combination of onions, garlic, chicken broth, cream and bold white cheddar. 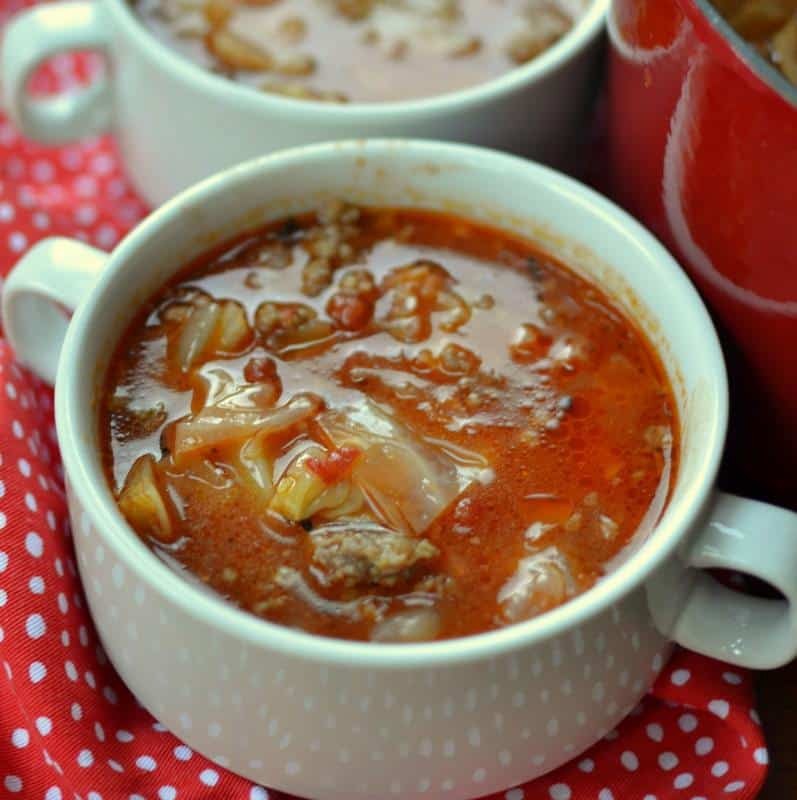 This soup is the ultimate in comfort food and the scrumptious combination of foods play together like a fine tuned instrument. This soup is pretty quick to come together. Most of time is baking time and of course you can do other fun things like laundry and bill paying while that is going on. LOL! 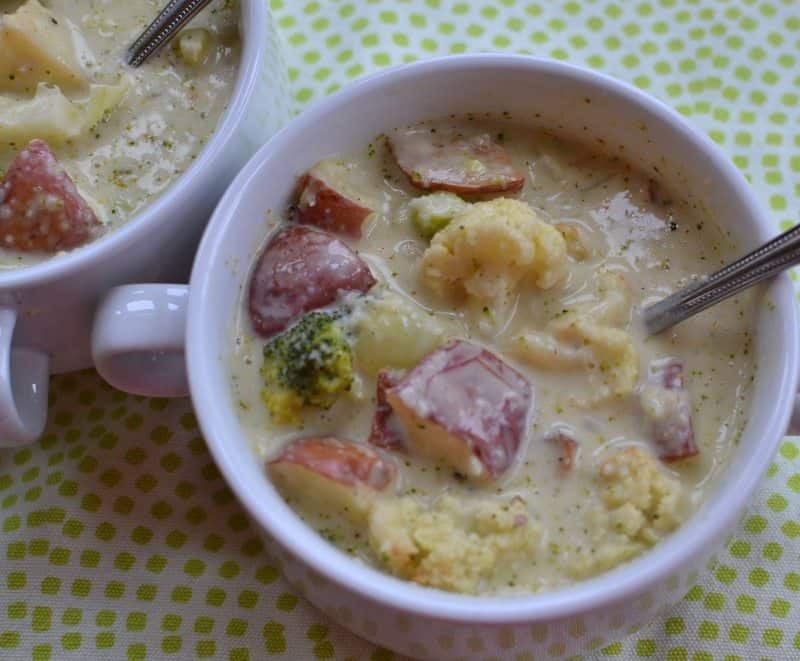 Some fun additions to this soup might be bacon, ham, or small pieces of kielbasa sausage. However it is a delicious hearty soup just like it is! 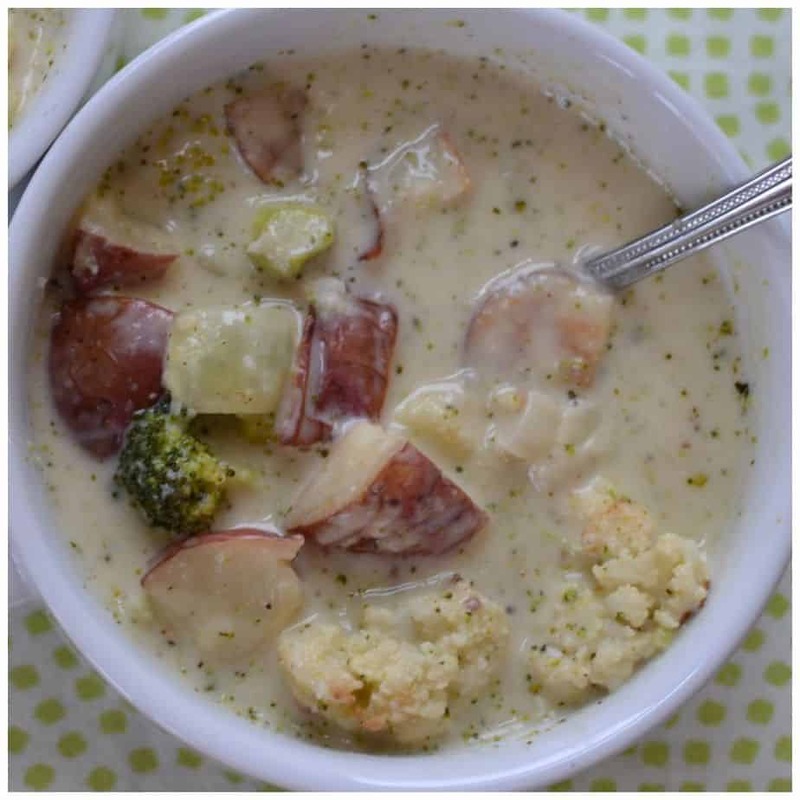 So if it is still cold in your neck of the woods, if you are a forever soup lover or if you are just looking for a hearty meal for you and your loved ones put this Roasted Broccoli Cauliflower Potato Soup on the list this week. You will be glad that you did. In large ziploc bag combine cauliflower, broccoli, potatoes and olive oil. Shake to coat. Spread over nonstick baking sheet. Sprinkle with salt, pepper, garlic powder and onion powder. Bake for 15 minutes and remove broccoli. Bake for another 10 minutes and remove the cauliflower. Bake for another 10 minutes and remove the potatoes. All veggies should be fork tender before removing. Remove to plate. In large saucepan melt butter, add onion and cook for 5 minutes. Add garlic and cook for additional 1 minute. Add flour and cook for 1 minute. Add chicken broth and half n half alternating between the two. Simmer until thickened; approximately 5 minutes whisking frequently. Add cheddar 1/2 cup at a time whisking in each time. 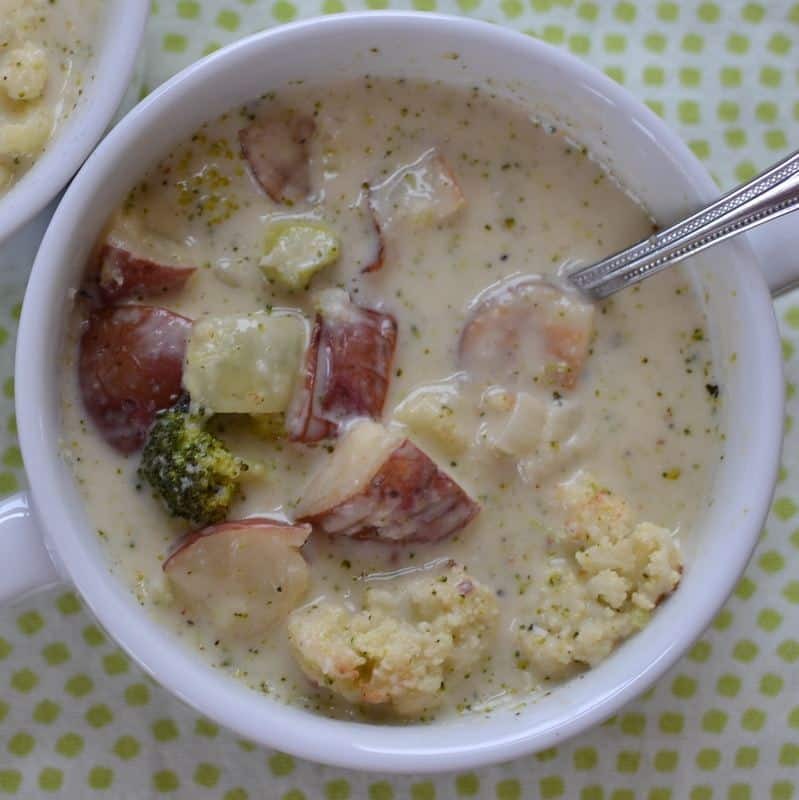 Coarsely chop broccoli and cauliflower. Add cauliflower, broccoli, potatoes and cumin to broth. Stir and simmer for 5-7 minutes. Can’t wait to try the with broccoli, and all. Sounds so good. Thanks for the recioe.